Register for "The Top 10 Reasons Your Caregivers Are Leaving and How To Keep Them"
We interviewed over 40,000 caregivers across the country to find out why caregivers leave their agencies. Find out what they had to say. Every home care agency is familiar with the caregiver turnover crisis. But what is causing caregivers to leave, and what can agencies do differently to retain them? Join Erik Madsen, Chief Operating Officer at Home Care Pulse, as he shares new research about what caregivers want, why caregivers leave, and how your agency can keep them. Learn surprising reasons why caregivers feel dissatisfied with their home care agencies. Gain insight into caregivers' top priorities and needs. Learn powerful strategies and best practices to address these issues head-on. Fill out the form on this page to register and save your seat now! All registrants will receive a link to the replay and slides following the September 26th session. Before joining Home Care Pulse, Erik spent eighteen years working with a global consumer products company covering sales, marketing, customer support, and operations. He joined Home Care Pulse after a friend told him that it was a fast company focused on serving people. 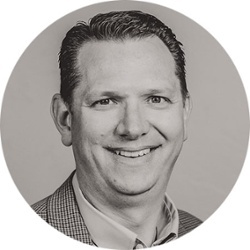 Erik has a master’s degree in business management from Idaho State University, and he loves using his knowledge and experience to help others succeed and organize chaos into functioning systems and processes.